This weeks digital image is paper with a deep red background and small plaid square patterns repeated throughout the page. ​I use a Cameo Silhouete and uploaded the paper pattern to fill my images. It will also be the card base for my Christmas Box Card filled with poinsettias and presents wrapped with bows. You can download this paper image all day Sunday for FREE. Find it under the FREEBIES tab. Next week there will not be a FREEBIE posted due to the holiday. I will be spending time with my family. Hope everyone had a blessed Thanksgiving. My day was filled with many blessing and spent with family and a new puppy. Many of you know that my dog Buster who was 14 years years old passed. Thanksgiving eve a new member of our family joined us. A Cavalier puppy of 4 months named Daisy. She keeps me busy, but brings such happiness. It's amazing how a dog can bring so much joy. First time having a lap dog and I am loving every minute. I've always had large breed dogs and this is a big change but a good one for me. Today's FREEBIE is ready to be used for Christmas, Baby, or gift tags. It can even be used as a coloring page for the kids or those adults that like to color. She'll be available for the next 24 hours, (Sunday and Monday) so grab her while she's FREE. You can find her under the FREEBIES tab to the left. Enjoy, and as always.......Y'all come back now. This weeks Free Digi is an older image that is one of my favorites. Hope you can find good use for this winter cottage. The image will be available all day Sunday as a Free download. You can find it under the FREEBIE Tab. I'm back... just a week later that I promised. It's been a very emotional month. 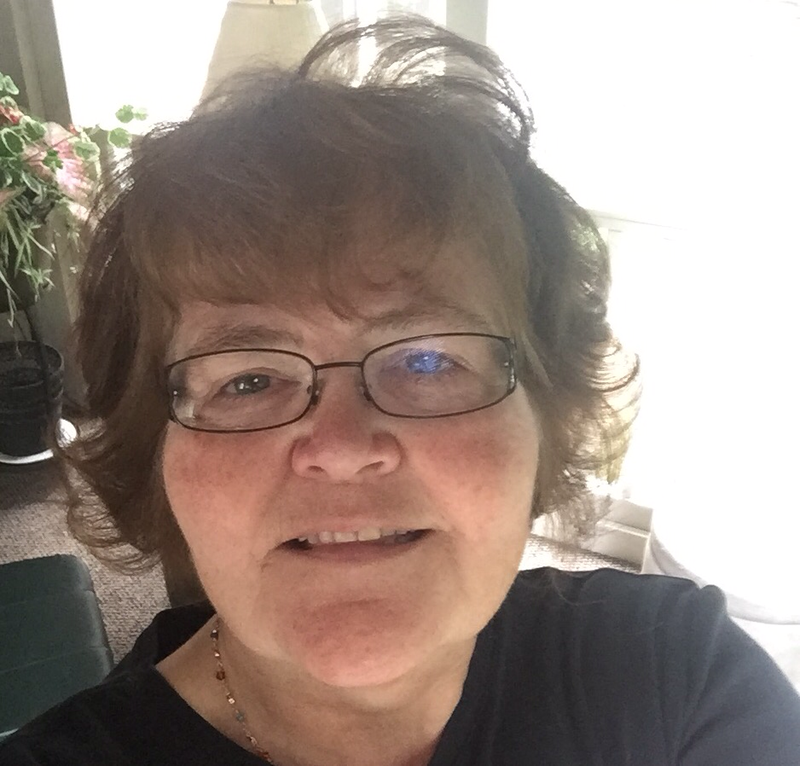 My husband of many years has a new home in a skilled nursing facility, my dog Buster of 14 years passed away, and I was called for a 6 week Jury Duty. Just a bit of drama and loss at my home. I debated whether to announce my loss for the world to know, but I think, for me, it's theraputic to talk, talk talk and pray. So, I did! This weeks FREEBIE is a Pilgrim Owl perched on a tree limb. I have to fess up. When I drew the branch, I had a difficult time changing the color from brown....it is what it is. I had no time to fiddle with the software so y'all will have a brown limb unless you print in black and white. Then, more than likely the branch will be black. Suggestions to spruce up the limb, use ink, Copic's or other medium to shadow or improve the branch. Another choice is to fussy cut the owl and remove the branch altogether. The Pilgrim Owl will be available to download for the next 24 hours. You can find the download on the FREEBIES page under the tab to at the left. Enjoy! You know It just wouldn't be Halloween without all the Witches, Pumpkins and Candy Corn. I think candy corn must be one of the oldest Halloween candies around. It's colorful and tasty and it's always on the store shelf at this time of year.. This weeks FREE digital image is a jar of this yummy candy. You can download this FREEBIE all day Sunday. Find the download under the FREEBIES Tab. Next week there will be NO Freebie. I'm going to spend the week-end playing with my two Granddaughters. Excited to be spending time with my two favorite loves! Enjoy the free digital image and Y'all come back now! Lily Bun is an image that I created four years ago in celebration of my newly born Granddaughter, Lily. This week's new image is Lily's Pumpkin which is ready to color and add to your scrapbook pages, greeting cards or other craft projects. In the photo below you can see how I've added the image to the photo of Lily dressed as a witch. This week's FREEBIE will be available to download for FREE all day Sunday and for the next 24 hours. Find it under the FREEBIES Tab. Enjoy your crafting. I'm back from my break with a FREE Digital Image each and every Sunday. This week's digi is a witch upside-down in a caldron of brew. Halloween is around the corner and I'm busy making Halloween cards. Halloween is my very favorite season for card making. The colors are bright and vibrant and work so well together. Enjoy and please come back next week to see what's being offered to download for FREE. You can download the free image shown for the next 24 hours. Hurry before it's gone. Find it under the FREEBIES tab. Happy crafting......and Y'all come back now! First, I'd like to thank all my followers that like and download my Digital Images each week to use in their crafting. My family has been dealing with several serious health issues and as a caretaker, I need some time off to rest and to catch up on everything that has fallen behind. I plan to be back in the saddle with FREE Digital images beginning October 2nd. I'll also be launching a new web-site January 2017 that will offer HOW TO's and FREEBIES for stamps, digital images and SVG files for those that use cutting machines. So keep in touch. Please check back in October and start collecting more of my FREE digital images. ​Again, Thanks and Y'all make sure you come back now!! Pineapples have been appearing everywhere. Besides the grocery store, I've seen them on billboards, on TV, rubber stamps and of course greeting cards. I'm not sure what the craze is about pineapples other than they taste sweet and juicy and they're found in abundance in Hawaii. This weeks FREEBIE is none other than the pineapple. Get creative and join the pineapple craze! This weeks FREE Digital image of the pineapple will be FREE all day Sunday. Get it while its available. Happy Crafting. In just a few weeks all children will be back in school throughout the USA. Parents will be taking pictures of their kids on their first day back to school in 2016. 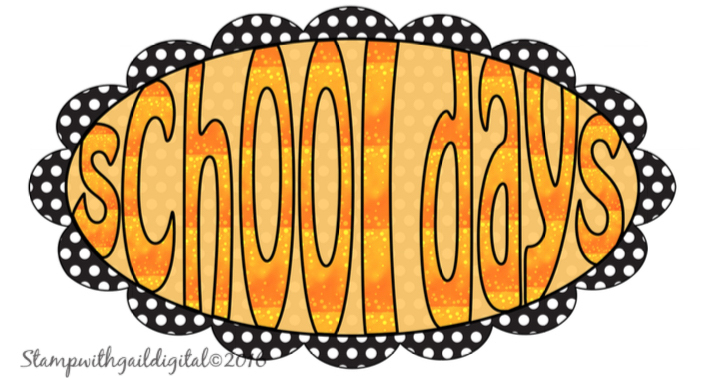 This week's FREE Digi is a scallop tag that says School Days. This FREEBIE will work on Scrapbook pages, or for a teacher card. The FREEBIE folder has three different digi's that can be layered or used independent of each other. You can download the three FREE images all day Sunday. Grab them before they're gone.